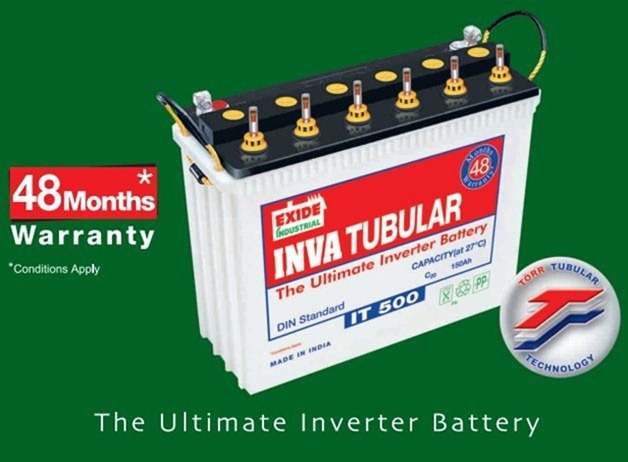 As we already said in our previous article, Exide InvaGo 150 ah tubular battery could be considered as an alternative to the Famous model Exide IT500, Here we come with a comparison table to make it easy to know the difference. No. of charge cycles decides the battery life apparently, from the above comparison chart it is evident that both Exide IT500 and Exide InvaGo batteries have the same numbers, which means 800 to 1000 cycles @ 80% depth of discharge. Both batteries are provided with 30% extra electrolyte which minimizes the frequency of water toppings. Low maintenance assured. Both Exide InvaGo and IT500 have the same 36+12 months warranty. Though it is advertised as 48 months warranty, only the first 36 months warranty is free replacement warranty, the extra 12 months warranty is prorate warranty which is not so useful in terms of premature battery failure. The vendor will offer you some discount on your new battery purchase if your battery fails during prorate warranty period. 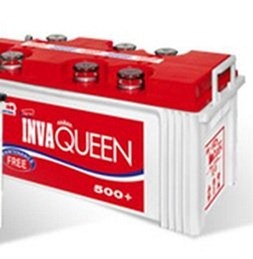 It is evident that Exide InvaGo saves some money on new inverter trolley purchase; the specification also shows some resemblance between two batteries. Exide IT500 has more credibility and reliability compared to Exide InvaGo. Exide InvaGo is yet to prove its long term performance, fingers crossed!